So now that I’ve decided to finally get out there, I need gear. 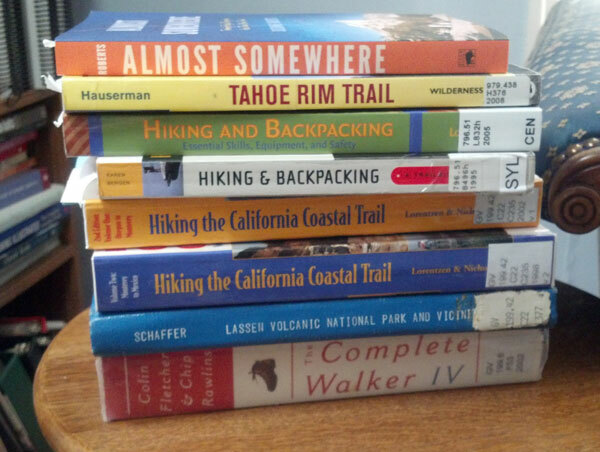 I went to the library and checked out what seems like a gazillion books on trails and beginning backpacking advice. A little out of control, am I right? The problem with borrowing these types of books from the library is that they’re mostly outdated. Some of the trail books are fine as not too much has changed with those (and I can verify the information with what’s online) but the updates in recent years to the gear, especially with the ultralight movement, have been phenomenal. I’ve been scanning these books for general information, but mostly end up relying on resources from the web. I’ve found some great blogs and review sites like Calipidder.com and BackpackGearTest.org which have helped me narrow down some things. The other morning I was hanging out in bed checking my email and of course I had an email from REI for another clearance sale. 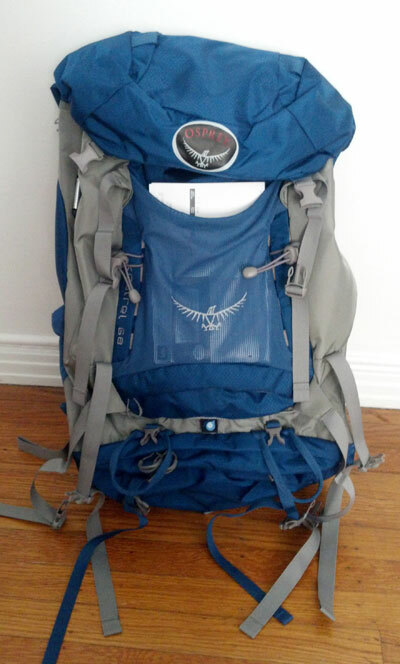 Normally I’ll browse what’s on sale and not end up buying anything; however, this time I noticed a backpack on sale. I did a quick search for some reviews on this particular backpack and most everyone had good things to say about it. So I bought it. And it arrived in the mail today. Behold! My very first backpack, exciting right?! Now my only problem is that I have no idea how to size it, so I think I’ll head down to REI in the next couple of days and ask them to help with fitting it to me properly. Doing so also gives me an excuse to browse all the other things I’ll be needing to buy over the next couple of months. Well that does it for now, I’m off to read some more. Plus it’s Sacramento Beer Week and will definitely be out drinking some amazing craft beer later. Toodles!